Neon Night Fun Run is looking for volunteers. Photo courtesy Barking Monkey Studio. 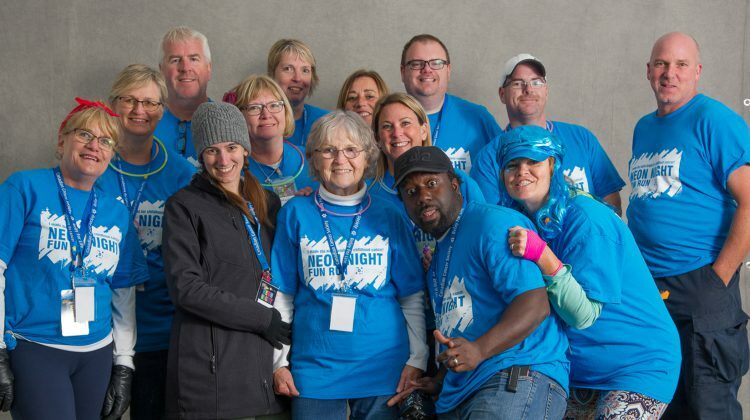 Neon Night Fun Run is putting out a call for volunteers. The event has brought in around $352,000 for childhood cancer research in the past five years. The 6th annual Neon Night is set for September 21 at Riverside Park. Organizer Christina Thompson says people are needed for the planning committee. Volunteer positions are open for registration, sponsorship and social media. Event day volunteers are also needed. Thompson says Neon Night has turned into a major local event, with lots of business and community support. She says over 1,100 people took part last year. The planning committee meets once a month in Kemptville. Anyone interested in helping out is asked to contact Thompson directly by calling 613-723-1744 ext. 3620 or emailing cthompson@ontario.cancer.ca.